Modernist Gold Ring Hallmark N? 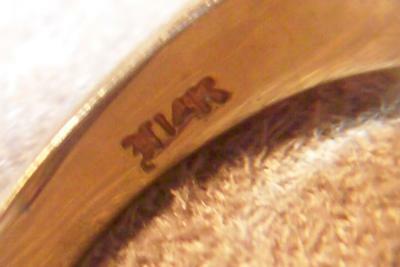 I have a 14K Gold Modernist ring with a stylized "N" hallmark. This ring was left to me by an aunt who passed last year at 90 yrs old. I had never seen her wear it. I am dating it 1960's to 1980's but that is a guess. Marked with a stylized "N" or 2 letters combined and 14K.